She has resided in the USA since 1987, having arrived there to begin the masters program at Rutgers University in New Jersey. She worked as a Financial Advisor and Portfolio Manager for Travelers and Smith Barney. In 2003, she joined the RoundBox Productions team as the producer of the TV show “EUA Contacto New Jersey”, whose content was designed for circulation in the Portuguese Community resident in the USA and which has been continuously broadcast on the RTP International grid until 2015. 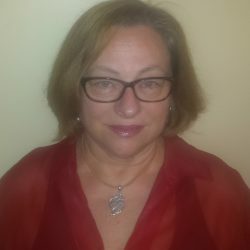 She currently runs the website “euacontacto.com”, created to disseminate the content produced for RTP Internacional and with the purpose of creating an information space destined to the Portuguese diaspora in the USA and in the World. In 2006, she founded MediaConsult as Executive Producer. The company is especially dedicated to the production and distribution of television content, communication consulting, the dissemination of companies, brands and institutions, especially to the Portuguese communities located in the East Coast of the USA and to the promotion and organization of corporate events, workshops and seminars. In 2012, MediaConsult created an annual networking event for construction entrepreneurs that brings together companies owned by Luso-descendants of the East Coast of the United States (CENSE), an event that will host the 4th edition in 2018.